If you are not comfortable using your credit card or debit card online but you do not have an option without making your transaction online then you don’t have to worry any more. You can opt for virtual credit card and use for your transaction without any tension of being misused by anyone. What is a Virtual credit card or Prepaid credit card? Virtual credit card will be same 16 digits No with expiry date and CCV No in digital form. There is no plastic card associated with it. How can I get my Virtual credit card? You can generate your virtual credit card using current debit/credit card from bank website online immediately and you can start using it immediately on any merchant site too. You can set limit for new virtual credit card which gives security for online transaction. It can be used only once after generating it. The balance amount will be credited back to your account within some time. You never to have to use actual debit/credit card details at merchant. You have to use it within 2-3 days as mentioned your process otherwise the amount will be credited back. You can create more virtual credit cards permitted by your bank. What is main difference between Virtual credit card and plastic debit/credit card? 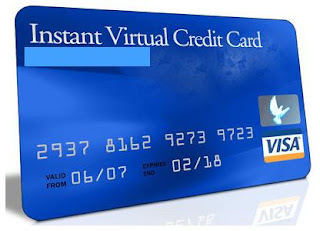 Virtual credit card will expire within 2-3 days after generating it and have dynamic credit limit given by you. It can be generated immediately and can be used only once during its validity which ensures security. It can be used online only. Plastic debit/credit card will have static limit and can be used anywhere. But once its credentials are exposed to wrong person then it can be serious issue for debit/credit card holder. Where should I avoid my virtual credit card? Avoid it if you have to show your actual plastic debit/credit Card to receive your Items like airline & movie tickets and the card is to be used for recurring payments like ECS. Can I cancel a virtual credit Card? Yes, you can cancel it using bank website. Even if you don’t cancel and don’t use then balance will be credited back after mentioned time. Is it free to generate virtual credit card? Mostly Yes, But it depends of bank. How do I make payment for virtual credit card? It’s really simple. If you create it from debit card then the amount will be deducted from account immediately. If you create from credit card then the amount will be added as unbilled amount in current statement once virtual credit card used online. Can I use this card at store or telephone purchase? No, this card can only be used for online purchases. This card cannot be used for Store or telephone purchases. Is it known by only virtual credit card? No, Many banks use different naming convention to promote it. For HDFC bank, it is known as NetSafe card and it’s Prepaid credit card for many other banks. The functionality will be more or less same. So, secure your online transaction using virtual credit card.